Iconic and star-studded casino renowned for its thousands of slots, video poker and table games, spectacular entertainment, and world class dining. Living up to its name, the MGM Grand is one of the largest casinos in the world. Bringing a delightful mix of exclusivity and Las Vegas-style entertainment, the MGM Grand continues to amaze thousands with its superior features and amenities. Instantly recognisable silhouette and colours of the MGM Grand Casino building in Las Vegas. Iconic Las Vegas casino, famous not only for its gaming options but also for the entertainment and sporting events. A must to visit on any Las Vegas trip. When the MGM Grand opened its doors in 1993, it was the largest casino in the world. Today, over 20 years since it was established, it remains to be the largest casino complex in the whole United States. Nearly 6,900 rooms, five outdoor pools, rivers, waterfalls, and dozens of retail stores make up this mammoth of a casino. It’s also home to the largest casino floor in the county. The casino first opened with a Wizard of Oz theme, carrying hints of the classic story throughout its premises. A Yellow Brick Road snaked through the grounds, and guests could enjoy the company of Dorothy, the Scarecrow, the Tin Man and the Cowardly Lion. 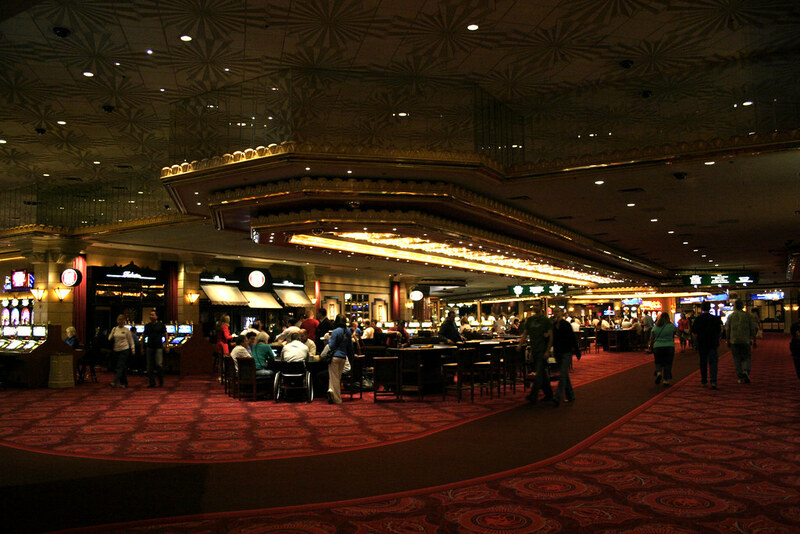 The theme was stripped off in 1996, and changes were made to both the interior and exterior of the casino. The MGM Grand also houses the largest bronze statue in the United States: the 50-tonne, 14-metre statue of MGM’s logo, Leo the Lion. MGM also attempted to bring family friendly fun to the MGM Grand with the MGM Grand Adventures Theme Park, but this failed to make enough revenue and was discontinued in 2001. Today, the MGM Grand stands towering above other casinos in the area, stretching as far as the eye can see. With newly renovated rooms, the casino remains to be one of the premier casinos in not just the area, but also across the world. The casino floor at MGM Grand stretches to nearly 16,000 m2 – one of the largest in all of Vegas! 2,500 slot machines can be found in the gaming area, with special High Limit slots located in an exclusive part of the casino floor. The machines have denominations ranging from 1¢ to $1,000, so it’s safe to say that there’s something for every kind of gambler at the MGM Grand. The race and sports booking service at the casino is also amazing, as guests can watch their favourite sporting events on 36 60-inch plasma TVs or 24 42-inch TVs. Table games are a great mix of classic games like Blackjack, Baccarat, Craps, and Poker, and newer games like Casino Wars and Pai Gow Tiles. Their Poker Room also has the added bonus of tableside massage services, convenient tableside food and beverage service, as well as free poker lessons daily! Crush offers a modern Italian-infused menu in relaxed and warm ambiance. 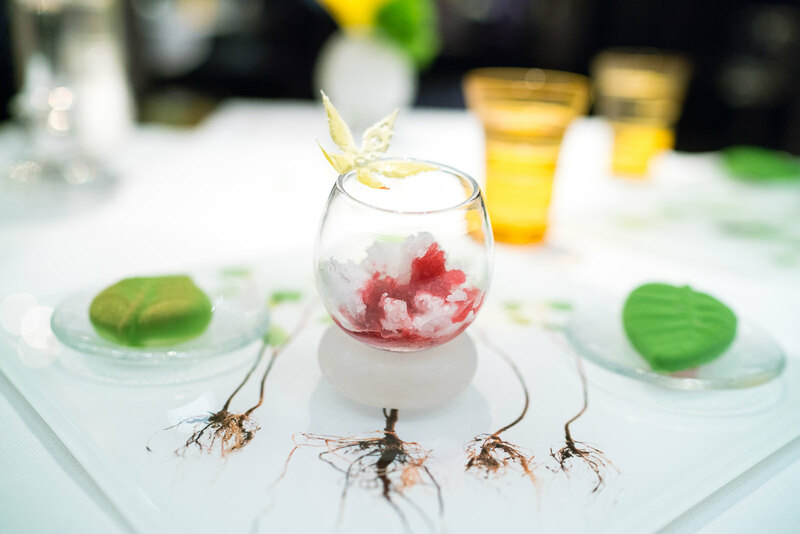 International cuisine reigns supreme at the MGM Grand, with celebrity chefs Wolfgang Puck and Emeril Lagasse making their homes in the casino. Casual dining is also available through the Grand Wok Sushi Bar and the MGM Grand Buffet. Guests can also visit some of the restaurants that offer quick bites such as Project Pie, which lets patrons create their own pizza, and a food court that offers a variety of economic choices for on-the-go dining. Modern Italian-infused menu in relaxed and warm ambiance. The interior has a gravitas with all the dark wood and it doesn’t have the commerciality of many other Vegas restaurants. The food leans on the heavier, fattier side but not excessively, in that gourmet way. Our service was terrific; there was no mention of spice in the tartar, but when my sister mentioned her inability to eat it, they replaced it immediately – no questions asked. One of the better restaurants on the strip. The resort is home to Cirque Du Soleil’s Ka production, Brad Garrett’s Comedy Club, and the legendary David Copperfield. Unlike other casinos, however, the MGM Grand allows patrons to be the stars of the show as well. Their newest attraction, the CSI: The Experience, lets players become forensic detectives as they try to solve the mysteries behind some of the most gruesome murders. No dress code is implemented in the casino, and dressing for comfort is advised. However, dining at any of the specialty restaurants at the casino will require appropriate dress as well. The MGM Grand honours MLife membership, which lets players earn and accumulate points with each purchase they make or game they play at any MGM casino. These points can be used to redeem free spins or free food at any of the restaurants.